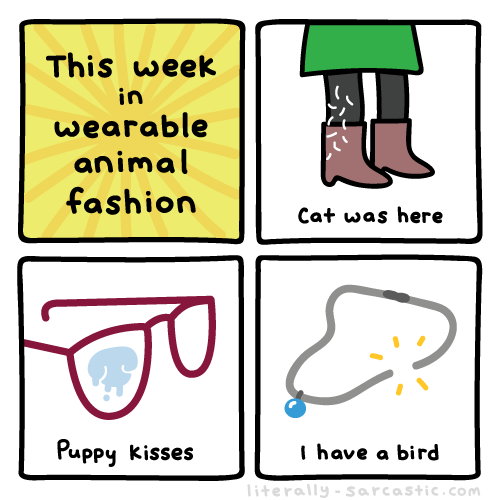 No animals were harmed while designing these fashions, duh. The cat hair on my black leggings is high fashion and has absolutely nothing to do with me being lazy or gross. It's a fun bonus, like glitter or sprinkles. Birds always want to destroy objects. Especially important objects. I am pretty sure they are at least 60% evil. They're like 40% precious innocent friends, though.